At eight in the morning, as on every blessed day, after loitering for the bell, the boys of the «Holy Land» College settle down in silent rows in the yard of the school, split into classes, under the serious gaze of Abuna Rashid, the headmaster. While little Khalid does the flag-raising hoisting a «mini» flag of Jordan, all the others, Christian and Muslim, together invoke the only God the Father of all («Lord, bless us, our country and our school. Enlighten our minds and grant us peace»). Then the music starts up, and as good citizens, some with more ardor, some listlessly, they strike up the national anthem («Long live the King, long live the King! High is his renown, sublime is his rank. Up with the flags!»). Then they swarm noisy and cheerful along corridors and into classes where, apart from the crucifixes and the portraits of King Abdullah II, during recent weeks cribs have also made their appearance, along with Santa Claus and the other Christmas decorations. No veiled mother, no mosque-going father has made any complaint. Over what is now the side entrance appears the date «1948», the year the school was founded. The Hashemite Kingdom of Jordan was taking its first uncertain steps in the Middle East minefield and the monks of the Custody of the Holy Land had just put up their school on the hill of Habdale, and still today it is one of the most respected in the country and in the whole Middle East. Their founder Saint Francis, had spoken clearly in his first Rule of 1221: the friars who go among the Muslims «are not to make quarrels or disputes», but are at the service of all. A task that has been respected. In their way, the period photos hanging on the walls – with a young King Hussein surrounded by friars, then with Prince Hasan and other members of the royal house attending school ceremonies – express the unbroken gratitude of the young Muslim nation, ruled by kings who proclaim themselves descendants of Muhammad, for the work done by the Franciscan college and all the other Christian schools for the benefit of the Arab youth of the West Bank. «We are proud of our Christian schools, for the irreplaceable contribution they make to our society. There are never any problems with them. They always respect the ministerial rules about the number of the students per class, the curriculum and the text books», Abd al-Majid al-Abbady, a high official in the Ministry of Education’s Department for private schools confides with satisfaction and gratitude. Since in many Middle Eastern countries the working presence of Christians looks like a foreign body in a slow but inexorable process of extinction, the vitality and the social rootedness of the Christian schools in Jordan make them thereby an «interesting case». In Karak, 130 kilometers south of Amman, the outline of the Crusader castle looms far away in a desert landscape barren of any resources, on and under the ground. Of the fortress, where the bloodthirsty prince Reginauld de Chatillon, grim symbol of Christendom in arms, went mad, there remain some crumbling ruins. Whereas the small school of the Latin Patriarchate is lively and full of voices, still there where it was founded in 1876 by Don Alessandro Macagno, the mythical Abuna Skandar, who preached the Gospel to the tribes of Christian Bedouins scattered beyond the Jordan, living as they did in tents, and carrying with him a portable altar for celebrating the Eucharist. At that time the Ottoman governor did not want to grant permission: it was the inhabitants of the zone, Christians and Muslims together, who broke down resistance. The Muslim Bedouins had also understood that only good could come from that humble and pious man who taught them to read and write, while of the local representatives of the Ottoman power apparatus they knew only their brutal usurpations and greed for bribes. In the second half of nineteenth century the schools set up across the Jordan by the priests of the newly established Latin Patriarchate of Jerusalem were the first to be opened in a closed and marginal world, wholly regulated by the harsh social laws of tribalism. To teach the ignorant is a work of spiritual mercy. 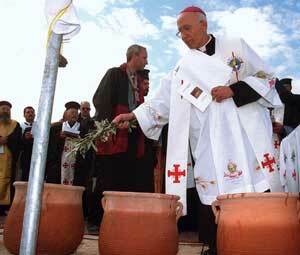 And the teaching offered to all – Christian and Muslim, rich and poor, tribes from the north and tribes from the south – was the key that allowed the apostolic witness to take root in barren soil, in rural or desert areas, that for centuries had seen no Catholic pastoral initiative. Still today, in Karak as in Salt, in Hoson as in Ajlun, in Ader as in Anjara, the buildings of the parochial schools form a single block with the church, and all educational activity is carried out under the ultimate responsibility of the local parish priest. Today, in a Jordan troubled by indecipherable socio-economic processes set going also from the neighboring conflicts, even education has become a business. The competition is ever more oppressive. In the well-off suburbs of the capital new private commercial schools with high-sounding and aggressive names are springing up at frenzied pace rhythms: Modern American School, Cambridge School, Islamic College, al-Shweifat School... Doing their job well – the modest ambition of their everyday Christian witness – is becoming the guarantee of economic survival for the teachers and staff of the Catholic schools. In the Christian village of Fuheis, in the entrance hall of the school built next to the parish church dedicated to the Immaculate Heart of Mary, the image of the Virgin that greets one on entering seems to gaze with maternal curiosity at the poster set alongside, with a list of the best pupils who, class by class, earned the highest marks in the yearly exams. The constant public monitoring of the progress of every single pupil in Jordanian schools can seem an «efficientist» syndrome imported from the outside. A frenzy for results that can stir up ferocious competitive instincts and disheartening frustrations among the pupils. But it is only by joining in the game that the Christian schools still demonstrate today the high standards of education they are in a position to guarantee. An ingredient essential for holding onto the attraction that the Christian schools still exercise on Muslim families. Every year-end, the Ministry of the Education lists the ten best students in the various subjects. And every year some student from the Christian schools appears in the prestigious top ten, contributing thereby to the lustre and reputation of their own school. In Fuheis the names of the small national geniuses, hatched year by year, have even been engraved on the marble slab outside the entrance to the school, a precious record to display without hypocritical modesty. The more recent statistics show that in school year 2005-2006 almost half of the more than 23,000 pupils in the Catholic schools in Jordan were children of Muslim families. More than a quarter of the almost 1,900 staff – teaching and non-teaching – of the Christian schools are also followers of the Prophet. The tacit rule of avoiding any religious controversy is written in the DNA of the Christian schools, a legacy of centuries of uninterrupted, if difficult, co-existence between the Muslims and the Christian tribes of the West Bank. But the firm determination to prevent confessional conflicts does not mean wishful attempts at creating a «sterilized» religious atmosphere. Trust is put rather in practical habits distilled over decades of experience of Christian good sense: the banning of all direct or subliminal proselytism, separate religious instruction for Christians and Muslims, common prayers in which all can invoke the mercy of Allah, Lord of all. A mechanism of discretion and delicacy tuned to encouraged daily cohabitation, to defuse the spiral of suspicion in the folds of everyday life. In the hope of spreading antidotes to intolerance, also outside the classroom. «Our motto is: friends in school, friends in society», says Abuna Rifat Bader confidently, creator of a very much visited website in Arabic on the life of the Church (www.abouna.org) and in charge of the Wassieh school, the most recent of the schools of the Latin Patriarchate. «When someone has studied with us and found themselves at home, it’s difficult then to go around speaking badly about the Christians...». A bet backed by many small daily miracles that he sees happening in the classrooms, the courtyard and the corridors of his beautiful school that grew out of the desert six years ago, during the Jubilee year. While he is talking, the school choir is going over the Christmas recital, rehearsing scenes, nursery rhymes and songs in Arab, English, Italian. They also tell in gestures a story of two thousand years ago, a child born one cold night in a manger, not far from here. Some thirty children are singing. Nearly the half of them Muslim. In the entrance of the highly respected «De La Salle» College of the Brothers of the Christian Schools a portrait of Pope Ratzinger hangs between those of King Hussein and King Abdullah. Brother Emile, the creative director of the college, has even put to music a hymn in honor of the Hashemite monarch. The religious, of Lebanese origin, lauds the stimulating effects that, in his view, co-habitation between Christians and Muslims produces also from the educational point of view («rub your brain against other people’s brain, and the spark will kindle»). But he explains without holding back devout deference towards the civil authorities: «We live a calm life because the king, the royal family and the government also are with us. The former prime minister and many ministers were students of ours. The current prime minister sent his children to school with us. While there is the king, we’re not afraid». And Sister Emilia also rolls off the names of Alia, Aisha and Zayn, the princess daughters of King Hussein who grew up among the benches of the school of the Nuns of the Rosary that she directs today. She lives without regrets and moans her Christian vocation spent in the service of the Muslim girls of Jordan. She browses with satisfaction through the articles and photos with the members of the royal family and the highest authorities of the country who have attended graduation days at the school. And she shakes her head at growing western obtuseness in grasping the factors in play in the delicate relationship between the Arab Muslim majority and Christian minorities in the Middle East. «The problems», she says, «have come to us from outside. And in any case the royal family knows how best to deal with them». The fortuitous and the providential good will of the Hashemites towards all the Christian schools of the Kingdom does not express itself only in the generous willingness to attend inaugurations and end of year galas. From when, in the mid ’seventies, the Muslim Brotherhood – which has always had total freedom of action in Jordan – began aiming for hegemony in the educational field as a means towards the militant Islamization of society, the royal house has not hesitated to use its stabilizing role in concrete measures. At the end of the ’nineties, when in the universities professors linked to the Muslim Brotherhood deliberately chose 25 December as the date of the examinations, King Abdullah immediately satisfied the protests of the Christians by appointing Christmas and New Year’s Day as national holidays. In the weekly program the activities of the Christian schools are suspended both on Fridays and on Sundays, and every school can enjoy a holiday on the feast of their patron saint. The counterpart to such royal predilection is absolute adherence to the programs of the ministry of education by Christian schools. Jadun Salameh, who has spent 28 years teaching Arabic in Christian schools, is the living representation of this reassuring respect for the circumstances. He has taught all his life and without problems a fundamental subject in all the school curricula, based in large part on the Koran and on the writings of the Prophet, the religious roots of the Muslim civilization in which he and all the Arab Christians are immersed. His respectful familiarity with the Muslim sacred writings and religious conceptions («some people found it hard to believe that I’m Christian») have helped him also decipher the complicated game of chess that is still being played around the Koranic inspiration of school books and programs. The strategy of the Muslim Brotherhood towards schools had its success between 1989 and 1990, when, if only for a few months, the militants of Muslim «re-awakening» in Jordan got control of the Ministry of Education. But already for some time before the massive insertion of doses of the Koran in schools textbooks and hammering insistence on the «Islamic conquest» matched the clichés of the Islamist propaganda, with plenty of reference to the jihad against the unbelievers. But in recent years, after the peace agreement with Israel (1994) and still more after 11 September, the Islamist drift of school programs seems to have come to a halt. A shift openly inspired by the royal house. In November 2004, a year before the bomb attacks in the Jordan capital, King Abdullah launched the famous «Message of Amman» with the purpose of «making clear to the world what is and what is not true Islam». An initiative wherewith the Hashemite dynasty aimed at reaffirming its own function as interpreter and guarantor of the «proper understanding» of the Muslim faith, presented as «a message of brotherhood and humanity, that supports what is good and forbids what is mistaken, accepting others and honoring every human being». The application of those guidelines in the scholastic field has resulted in the progressive disappearance from textbooks of poems, historical propaganda and quotations from the Koran that ran the risk of fundamentalist manipulation. «Now», Jadun Salameh says, «in the books one finds only conciliatory Koranic verses, in which the beauty of the creation and peaceful co-existence between peoples is lauded. No trace of holy wars, no summons for unbelievers to submit to Islam...». If in Christian schools the effective co-existence of Christians and Muslims follows paths tried and tested in centuries of shared life, in the daily life of the kingdom such experiences are beginning to look more and more like happy islands, hangovers from a past to be mourned. It is quite clear – there is no need to even say it – that here, in the last few decades, someone has been progressively poisoning the wells of relative tolerance that were watering a more than millenarian co-existence. Nothing is as it was. The old habits of acquaintance that regulated relations between Christian and Muslim tribes on the West Bank are fading. When pupils from the Christian schools go on to university they get besieged in intimidating fashion by university teachers and zealous fellow students, inured in their own certainties, who feel called upon to indoctrinate the «poor fools», children of the Jordanian people who still believe that Jesus is the Son of God. The Islamist movements, the invasive religious militancy engaged in public life, is becoming for many of them an asphyxiating spiritual mobbing. In the face of this development the Catholic schools are managing to carry on their inward and little publicised mission: that of making the first steps in the social life of many Christian children easy, serene, free of trauma. Without building bunkers, in a open atmosphere, enabling them to grow alongside their Muslim contemporaries. Allowing them to enjoy, without even noticing, the fruits of the everyday gratuitousness that Christian charity lights up in the ordinary field of the usual occupations. Before the difficulties and the testing time arrive. For Father Hanna Kildani, the man in charge of the schools of the Latin Patriarchate on the West Bank, this also means struggling with an account increasingly in the red. One of the economic outcomes of Middle Eastern chaos has been the paring down of the salaries of the middle class to which most of the Christian families belonged, those who considered the schools of the Patriarchate to be their own. More and more are asking for partial or total exemption from fees already largely insufficient to cover the costs of ordinary administration. The generous financial backing guaranteed by the Knights of the Holy Sepulcher all over the world can no longer cover the budget deficit. «The annual deficit of the patriarchal schools is growing in dizzying fashion. In Jordan alone it has reached two million dollars. But for our patriarch Michel Sabbah providing education for children of all Christian denominations is an uncancellable priority, if the emigration of the Christians from these lands is to be halted. We want to avoid in every way that Christian families should abandon our schools because they can’t make it with the money», explains Nader Twal, head of Communication for the Education Department of the Latin Patriarchate. Some parents take advantage of it. Others do what they can, bringing back, perhaps, the old system of payment in kind by giving olive oil. But the emergency is being faced without too much alarm by Father Hanna and his colleagues. Like their ancestors, accustomed to the precarious life of the Bedouin tent, they know that things will mend themselves, if Allah wills. The figures of a phenomenon. 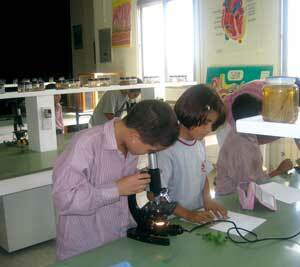 The Christian educational institutes in Jordan number 93: 44 infant schools and 49 schools. Of the latter, 44 are Catholic schools: 24 schools of the Latin Patriarchate of Jerusalem (whose jurisdiction includes Israel, Palestine and Jordan), 10 of the Melkite Patriarchate, one of the Catholic Armenians, 8 directed and managed by Latin religious Congregations (Franciscan, La Sallian, Nuns of Saint Joseph and Sisters of the Rosary, the female Congregation founded in Palestine that manages all of 5 institutes). 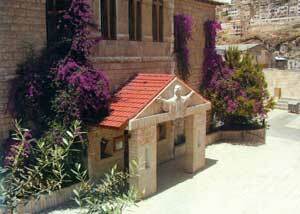 The oldest school in Jordan is that one in Salt, founded in 1869 in an abandoned house by Jean Morétain, a priest of the Latin Patriarchate. The most recent is the secondary school inaugurated in 2000 in Wassieh, in the depressed south of the country: 36 classrooms, laboratories, halls, theatre, gyms. In 2005-2006 the Catholic schools were attended by 23,670 pupils, of whom 12,502 Christians (52 percent of the total) and 11,168 Muslims. As for the teaching and administrative staff, the last data available, relating to the year 2002, showed 1,842 employed in the Christian schools overall, of whom 1,280 were Christian and 562 Muslim, to which are to be added the clergymen, the nuns and the religious. The director of the single institutes enjoys full freedom in the selection and employment of his own staff, when the professional requirements for the various posts are assured. The data from the schools of the Latin Patriarchate are emblematic: of the 58 patriarchal educational institutes – schools and infant schools – all of 40 are in Jordan (in Palestine there are 13 and 5 in Israel). If instead one looks at the whole Middle East and North Africa, even the comparison with other Arab countries reserves some surprises. Compared to the 93 Christian educational institutes in Jordan, Lebanon (341) and Egypt (130) host a greater number. But those are countries inhabited by native Christian communities with millions of believers. In Jordan the baptized number less than 120,000, and represent less than 4 percent of the country’s population. The school population of the Jordan Catholic schools (in 2006) was fairly evenly divided between males (11,944) and females (11,726). When one looks at age groups, the majority of pupils (12,537) were concentrated in the first six years of the fourteen of the national scholastic curriculum (corresponding to the elementary school). The classes of the intermediate cycle were attended by 5,911 pupils (from seventh to tenth grade), while 2,249 attended courses in the two final biennia, before the final examination (tawjihi) which also acts as selection test for the university faculties with limited numbers. An average of 90 percent of the pupils of the Catholic schools qualify for university entrance. Vocations among the benches. 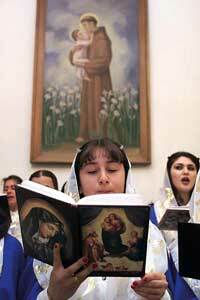 In the Jordanian schools a consistent part of the priestly vocations of the Church in the Holy Land flower. At present in Beit Jala, in the minor seminary of the Latin Patriarchate of Jerusalem, 38 of the 51 students come from Jordan. Among those, 28 attended Catholic schools and 10 come from State schools. In the major seminary, on the other hand, among the actual 23 seminarians, 16 are of Jordanian nationality. Of these, 12 studied in Catholic schools of the Hashemite Kingdom. Relations with the government. An agreement between the Ministry of Education and the General Secretariat for Christian Educational Institutions in Jordan has established the feasts of Christmas, the Epiphany, Easter and the Ascension as holidays for all Christian schools. The Christian schools, like the other private schools (including Muslim ones) do not receive direct financial support from the government. The possibility of introducing the teaching of the Christian religion in State schools, set out in principle by the government in 1996, has not so far had practical outcome on the technico-administrative level. Collateral effects. The chaos in Iraq and the chronic Israel-Palestinian crisis has had negative influence on the existence of Christian schools in Jordan. The cost of petrol (which before came practically gratis from Iraq) has trebled in the last year alone, and the soar in real estate prices (unsettled by the massive financial investment diverted to Jordan by the Iraqi élite) are only some of the factors causing the progressive unstoppable erosion of the literate middle class, traditional «user» of the Christian educational institutions. The annual fees of the schools of the Latin Patriarchate, which are the lowest, hover between 150 and 200 dinars, equal to half the real cost borne for every single student. But the number of families who cannot manage this, even partial, contribution to the school budgets is growing exponentially. The increasing deficit of Jordanian schools (2 million dollars in 2006) constitutes half the debt accumulated by the patriarchate schools. A hole covered every single year thanks to the help from the Knights of the Holy Sepulcher and other friendly donors, such as the Holy Land Ecumenical Foundation, Cambridge Nazareth Trust and Cardinal Carlo Maria Martini, who in 2003 put together a network of solidarity that brought 64,000 dollars into the coffers of the patriarchate school institutions. In spite of the difficulties, over the last ten years the Secretariat for Christian Educational Institutes in Jordan has managed to ensure the introduction of health insurance for its staff. Khalid Tuqan, 52 years old and the father of three sons, is the respected nuclear engineer who since 2000 – an unusual case of political survival in the unstable life of Jordanian government ministries – has been in charge of the national Ministry of Education. In 2005 higher education and scientific research were included in his portfolio. Degrees and post-graduate specializations done at renowned American universities figure in his CV (he is also president of the Jordanian Commission for nuclear energy). 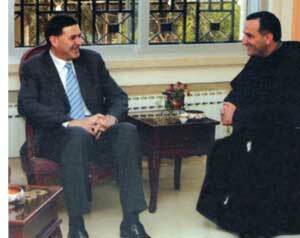 But his brilliant human and professional career also had its starting point in the Christian schools of Jordan. He, too, who according to gossip cultivates an interest in Sufism, studied as a boy at the «Holy Land» College of the Franciscan fathers. KHALID TUQAN: The «Holy Land» College is a highly esteemed educational institute that provides an education in step with the times. It was and remains one of the most authoritative and respected Jordanian schools, with standards of international level. But its educational traditions are also rooted in the values that are at the basis of our society, its tradition and its culture. It is a model of respect for the discipline and legislation on education. Its directive and teaching staff is of the highest level and it takes pains to ensure that its students get the best results. The relations between the pupils are based on friendship, affection and respect, and the memory of that atmosphere is still present to my mind. The relations between teachers and pupils were founded on trust, mutual respect and shared responsibility. The teachers always exhorted the pupils to good education, moral and noble values, and to try to achieve excellent academic results. Today that school still has a special place in my memory, and I conserve some very fine memories of it. What is your assessment of the role played by the Christian schools in Jordanian society? TUQAN: The Christian schools are an essential member of the private schools of our country. They are fully integrated into the Jordanian educational philosophy, with some original elements in terms of religious education. The Jordanian educational program is an obligatory point of reference for all the schools in the Hashemite Kingdom of Jordan, but it leaves room also for the choices of some institutes to round out such programs by adding supplementary books. The textbooks used are established and authorized by the Council for Education and Teaching, and serve indifferently for the Christian schools and for the other Jordanian schools. The Christian schools are among the most respectful, ordered and disciplined and their contribution to society is a very positive one. Apart from having the responsibility to educate and bear the burden of instructing pupils, they ensure a modern social education rooted in the values of the good and of love according to the message of Christ – may peace be with Him – and of all the prophets of mankind. 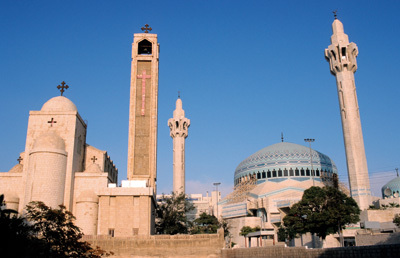 More in general, what do you think of the situation of the Christian minorities in Jordan? TUQAN: The Christians here are children of Jordan and share the responsibilities of common citizenship as do all other Jordanians. Through the richness of the education received, they have grown up assimilating the identity and tradition of this homeland, to which they are proudly attached. The fact of being a minority does not diminish their rights that the Constitution guarantees to them as to all their other fellow citizens. As you know, the Christian religion entails a gaze opened towards transcendence, nobility of mind, forgiveness and mutual respect and this is reflected in the spirit and practice of the educational communities of the Christian schools, both among teachers and taught. Emphasis is given to the many aspects in common between the Muslim religion and Christianity and this ensures co-existence in peace, love and brotherhood. Our Muslim history is rich in examples that over the centuries have testified to a leaning to encounter, peace and collaboration. Where there are issues to clarify, they are subjected to debate in dialogue and the exchange of opinions, in civil fashion rid of fixations, with mutual respect for the convictions of the other and with the shared concern for the good of our native land. 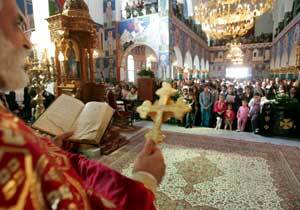 The Eastern Christians have always lived with the people of the region, enjoying their religious and civil rights. They are native children of this part of the world, they share the problems and back the common causes of their respective countries. Many Muslim parents prefer to send their children to study at the Christian schools. How come? TUQAN: Usually, when parents want to enrol their children in schools and can choose between various options, they take into consideration the academic level and the educational facilities that a school can offer. It’s known that the Christian schools in Jordan have a good reputation and ensure a high level in teaching. That translates into a high demand for enrolment, even without considering religion, because the reason inspiring the choice is the educational aspect. For Muslim parents, sending their children to the Christian schools is correlated with reputation and the trust which such schools enjoy with all families. For Christian parents, apart from the considerations already mentioned, the other determining factor is the religious education that is given in the Christian schools. They are very keen on a traditional education that hands on the observance of practices and teachings, because they wish their children to be believers. «In these parts the Lord understands Arabic, indeed He speaks it». For Salim Sayegh, Patriarchal vicar of the Latin Patriarchate for Jordan, the Christian schools in the country are the proof that good works can earn a good reception in any context, without needing to build battlements. As he sees it their success hides no particular secret. «Obviously», he says twinkling, «they are so appreciated by all because they work well». SALIM SAYEGH: The Latin Patriarchate was a pioneer in the field of education in Jordan. Since the time of the Turks, wherever the priests of the Latin Patriarchate arrived, the first thing they did was open a school. To teach to people to read and write. Now the situation is different. The Ministry of Education is very organized, there are schools throughout Jordan, including many private schools that work wonderfully. And in this new context what is the specific mission of the Christian schools? SAYEGH: First of all they can help our good people, Muslims and Christians, not to shut themselves up in ghettos. For Christians and Muslims it’s an advantage to be able to live the first years of study together and then the secondary schools also. It’s a mixing together that helps social life. SAYEGH: The schools are the most important means that we have to hand to educate our children in the Christian faith, to introduce them to the parish and the liturgical life. Even today many of the seminarians of Beit Jala [the Patriarchate seminary, ed.] attended the Catholic schools of Jordan as children and boys. The Christian schools have always enjoyed the favor of the Hashemite monarchy. Could things get worse if the political order of the country changed? SAYEGH: I don’t think so. We live in the East, and the East is traditionalist. Having our schools comes, so to speak, under acquired rights, that nobody would feel like challenging. Also when the ministers were linked to the Muslim Brotherhood they never hinted at questioning the recognized role of the Christian schools. And then, to tell the truth: Jordan is a poor country, and when the Christian schools take upon themselves the responsibility for teaching and educating more than 20,000 pupils, for whom the State institutions don’t hand over a dinar, it’s a relief for the government also. Many years ago you told us that in Jordan even the Muslim Brotherhood was no danger. Do you still think that? SAYEGH: The Muslim Brotherhood has never resorted to violence in Jordan. There are many of them who get described as fundamentalists, but they are good people who only want to live their own faith. We know a great many of them, with some we are very friendly, we visit each other, everyone respects the other and there is no difficulty. Then there are also others who are social climbers, who are trying to win a position, but that doesn’t bother us. Finally, among the rougher and more ignorant there are some aggressive ones. That happens. It’s normal. Things that happen in life. But bad feeling and enmity towards Christians is not the rule, it’s the exception. Prisons exist for that: they are for bad people who don’t want to respect the law. In Europe many people assert that Muslim re-awakening must be answered with firmness. And reciprocity demanded. SAYEGH: One needs to be objective. Here we Arab Christians are the minority. Here the «boss» is Muslim. When the Muslims go to Europe they find others bosses. But in our country the boss has arranged things in a very balanced way. Let me give you an example that would be unthinkable in Europe: here in Jordan, out of the one hundred and twenty seats in Parliament, nine must be assigned to Christians by law, others instead go to the Circassians, the Bedouins and the other minorities, so that all are guaranteed their rights. You paint an idyllic picture. SAYEGH: The problems come with the weddings between Christians and Muslims. Then religion come into it. If a Christian woman marries a Muslim and she does not convert to Islam, she has no right to inheritance and cannot in any case educate the children as she wants and, if the husband dies, cannot keep the children. But that is the law, which always favors the Muslim spouse. That is why we never give dispensation to mixed weddings of the kind. Meanwhile, on your borders the Middle East is in flames. And many in the West put the blame on Islam. SAYEGH: The West has never understood what Islam is and what Muslims are. Otherwise it would have acted differently on the Palestinian issue, that has dragged on for nearly a century. It would have acted differently on the Iraqi issue. And from wanting to trample on people, as has happened in Iraq or Palestine, this is what happens. In the entrance hall of the Anjara school, in the north of Jordan, a naive mural portrays Jesus holding hands with Mary and Joseph in front of their house in Galilee. The words in Arabic are a quotation from the Gospel of Saint Luke. After finding her son among the Doctors of the Temple, Our Lady reproaches him for having disappeared without warning: «He then left with them and returned to Nazareth and was subject to them». An example of filial submissiveness pointed not too subliminally at the lively pupils who clamor in the classrooms. But also an image of analogous flexible docility before the circumstances of history and the succession of worldly powers that shows through the whole history of Christianity in Jordan. Today in the Hashemite Kingdom the baptized number a few tens of thousands. But in the lands beyond the river where Jesus received baptism from John the Baptist the Christian faith has never been a stranger. Jesus himself visited Gadara, whose ruins lie near the modern Umm Qays, and cured two people possessed by demons in the episode narrated in the Gospel of Matthew. While Saint Paul must have passed through the country on his journey to Arabia, as attested in the Epistle to the Galatians. In a cave discovered in Ader, on the property of the local parish of Saint Joseph, some painted crosses can be seen that according to the experts of the Studium Biblicum Franciscanum are evidence that the small cave was a meeting place of Christians already in the first century. But above all it is the ruins of countless churches from the 4th and 5th centuries scattered all over Jordan which prove that Jordanian Christianity flourished in the Hellenized urban centers of the period. At that time the bishops of cities such as Philadelphia (the present Amman), Esbus and Aila (the present Aqaba) take part in the Council of Nicea. Faith in Jesus also reached what remained of the ancient people of the Nabatei, whose ancient capital of Petra will have its cathedral in 447. Outside the urban centers some nomadic Arab tribes or desert semi-nomads also became Christian. In the first half of the 7th century, when raids by Arab horsemen began the Islamic conquest, some of these clans formed alliances with the invaders who were of the same stock, thus assuring protection by paying tribute. In particular the still influential tribe of al-Azeizat (“the reinforcements”) fought at the side of the Prophet’s soldiery gaining their name and lasting respect from the new conquerors. In the following centuries, while the Hellenized cities became depopulated and decayed, a small Christian presence survived in Transjordan thanks to these marginal tribes, in an area itself become marginal after the transfer of the Caliphate to Baghdad. The artificial and ephemeral foundation of the Crusader principalities of Transjordan didn’t alter the situation on the gound. Only with the arrival of the Ottomans did a semblance of politico-territorial administration return to the area that guaranteed the particular features of the religious minorities, if also on a subordinate basis. Almost all the Christians of Transjordan – less than three thousand in the census in the reign of Solomon II – became subject to the jurisdiction of the Greek-Orthodox Patriarch of Jerusalem, who took no pastoral care of them, however. In the anarchy that continued to mark the life of the region, the tribes preserved their own tenuous bond of belonging to Christianity, more than anything else in order to distinguish themselves from other clans of Islamic faith. «The Christian Bedouins of Jordan, no less bellicose than their Moslem neighbors, were able to get themselves respected. As for the vulnerable tribes, it was easy for them to place themselves under the protection of more powerful Moslem tribes by paying a tax» (J.P. Valognes, Vie et mort des chrétiens d’Orient, Fayard, Paris 1994, p. 618). In the mid nineteenth century the Christian Churches of Palestine – Latin, Greek-Catholic, Anglicans – with the consent of the Sublime Porte pushed across the Jordan in search of their own native faithful. The Patriarchate of Jerusalem soon revealed itself to be the morst dynamic pastorally. Thanks above all to the foundation of the first schools, pious and shrewd missionaries with long unkempt beards – among them Jean Morétain, Giuseppe Gatti, Alessandro Macagno – lived a unique and thrilling apostolic adventure among corrupt politicians, barbaric tribalisms and religious fanaticisms, in a closed and primitive ambience. «Saying the Dominus vobiscum and preaching to my parishioners, I looked downwards and I saw more horns and heads of animals than of faithful», Father Morétain recounts, describing his first mass in Salt, celebrated in a Christian house that also functioned as a stable. In order to build churches, schools and other works, the greedy corruption of the Turkish authorities of the region had to be satisfied. «According to long established usage», writes Pierre Médebielle in his history of the mission in Salt, «the indispensable friendship of the local sheikhs and the Turkish officials had to be bought with some gift. All the skill lay in keeping the largesse within reasonable limits». Already then, in relations with the Moslem majority, religious permeability was a taboo shared by both sides: Médebielle also tells of a Christian who in 1882 beheaded his own daughter for having given herself to a Moslem. But except for the prohibition on attempted conversions, coexistence was habitually calm, with points of reciprocal affability: as when a sheikh of Karak wrote to the Patriarch of Jerusalem asking him to send a priest to look after his Christian countrymen. The fragile religious pax broke down here and there because of the explosion of tribal feuds or the fanaticism of some Moslem chief. But the Christian communities paid above all for reaction to western politics in the Middle East. The First World War offered the pretext for the most violent anti-Christian reprisals in the region, with the Turks inciting the Moslems to engage in raiding, and a large part of the Christians forced to flee in the wake of the English soldiers. The return after the war offered a desolate spectacle: churches transformed into stables, religious houses and schools destroyed. A letter of Bishara Farwagi, parish priest of Salt at the time, gives an idea of the situation: «The sight of Salt is pitiful. Fuheis is still burning and the governor tells me that it is reduced to a heap of ruins… All this requires new efforts». The Jordan of today is usually numbered among the “moderate” Islamic countries. Yet the Hashemite Kingdom created under the preceding British Protectorate of Transjordan, has never downplayed its character as a Moslem State. In the country, ruled by a dynasty that legitimates its power by direct descent from Mohammed, the secular and progressive theories of pan-Arab nationalism that up to the ’seventies’ were rampant in the neighboring countries, from Syria, to Egypt, to Iraq, never caught on. And when other Arab countries unleashed police campaigns against the Moslem Brotherhood, in Jordan the militants of the Islamic resurgence and also the Salafite hardliners have always enjoyed full freedom of action and propaganda. There is no second-thinking about the interpenetration of the Islamic religion and the institutions of the state. The Grand Mufti and the Imams of the mosques are nominated by the civic authorities, that oversee their activity. High Islamic dignitaries are consulted to judge the conformity of government decisions to the precepts of the Koran. The Jordanian Christians have never raised objections of principle to the Islamic legitimization of the status quo, limiting themselves to taking advantage of the “moderate” application of Koranic rules by the rulers. Islam is a state religion, but the Constitution of 1952 sanctions the equality of all Jordanians before the law without discriminations based «on race, way of life or religion». «Free expression of all forms of worship and of religion, in accordance with the customs observed in Jordan», are guaranteed and also freedom of teaching («the Congregations will have the right to establish and maintain their own schools for the education of their own members», article 19 states). In the snares and storms Jordan has gone through in recent decades, the Christian minorities have usually shown loyal and grateful homage toward the Hashemite dynasty. The recurrent waves of Palestinian refugees, fleeing from the territories occupied by Israel, have progressively and irreversibly altered the ethno-demographic profile of the nation. In the ’sixties some Palestinian Christians from Jordan – such as the Marxist Nayef Hawatmeh, a native of Salt – figured among the leaders of the PLO and of the other Palestinian organizations – a state within the state – that King Hussein dismantled and expelled from the country in the famous “black September” of 1970. But that was the only moment when various Christian subjects of Palestinian origin teetered between loyalty to the protecting dynasty Moslem and attraction towards the revolutionary political militancy that seemed ambitious to overthrow the monarchy. The outcome of the deference of Jordanian Christians to historical circumstances is of a political-social importance and public visibility paradoxically disproportionate to the exiguous numbers of baptized Christians in the country. In Parliament 9 of the 110 seats are reserved for Christians. The current minister of Labor Bassem al-Salem is Christian, and former governments have had up to three ministers of Christian faith. There are Christians in the higher ranks of the army, in the royal court, in the justice administration, in charge of businesses and national banks. The journalists Fahed Alfanek, Tarek Masarwa and Salwa Amarin, among the most influential in the country, are Christians. Yet – a further paradox – this very gratifying social status earned without elbowing one’s way, without the fatigue of a struggle for identity, has resulted in giving some upperclass Christians the mistaken feeling that they are an elite beleaguered by the alarming phenomena taking shape in the country, the hodge-podge of frustrations and grudges, endemic unemployment and impotent desire for consumer goods that in the depressed suburbs of urban conglomerations is shattering the ancient Bedouin tribal traditions and latching on to the resentments of Islamist ideology. Abu Musab al-Zarqawi, the equivocal Jihad outlaw that US strategy has transformed into a media legend by picking him out as the link between al-Qaeda and the Iraqi regime of Saddam Hussein, was born and grew up in Zarqa, in the years when the outskirts of the “Chicago of Jordan” got swamped by the shanties of the Palestinian refugee camps. No surprise, then, if rich Christian families in Jordan are unwilling to put up with the threat to their future and send many of their children abroad. Thus, without apparent pressure, the emigration of Jordanian Christians is contributing to the silent extinction of Christian communities in the Arab Countries, an unspoken collateral effect of unthinking western geopolitics in the Middle East. But not everyone is able to leave. The schoolchildren of Anjara don’t even think of it. Now that Father Hugo has managed to come up with two violins and has hired the Moslem conductor of the military band as teacher, they want to spend their afternoons playing at becoming great musicians. There are various ways of supporting the schools of the Latin Patriarchate in Jordan (twinning of schools, financial support at a distance for individual students). For information contact Father Hanna Kildani (e-mail: kildani@ wanadoo.jo) or Nader Twal (e-mail: ntwal@ hcef.org). The nuns of the religious Family of the Incarnate Word in Anjara lodge ten orphan girls or girls coming from problem families. For information about their work contact the parish priest Hugo Alaniz (hugoalaniz@ ive.org).